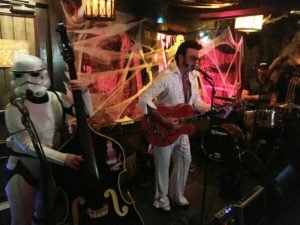 South Florida’s favorite roots and rockabilly band, Slip and the Spinouts, will scare up some monstrous mayhem on Friday, Oct. 27, at the ninth annual Hulaween party at the legendary Mai-Kai restaurant in Fort Lauderdale. The theme for this year’s retro-themed bash is “Monster Tiki Party,” and the highlights include an always irreverent costume contest with cash and prizes to the winners. 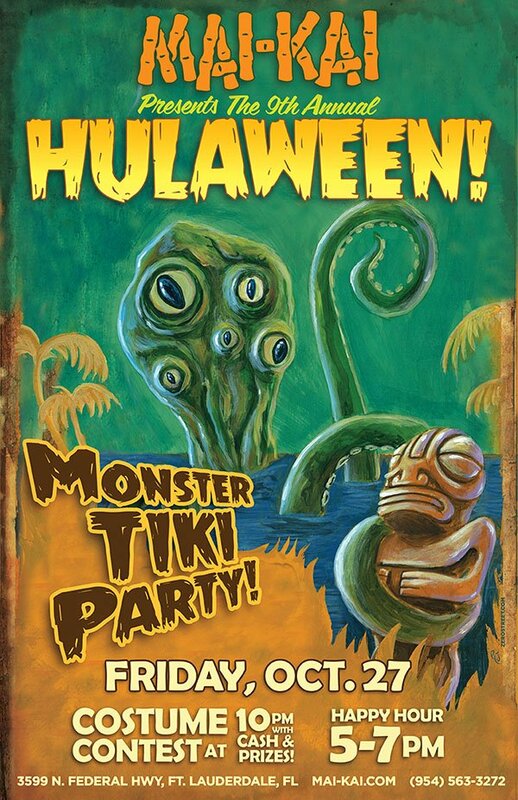 *** Friday, Oct. 28 – Hulaween 2017: Monster Tiki Party featuring Slip and the Spinouts at The Mai-Kai. Free admission. Happy hour 5 to 7 p.m., plus drink specials all night. Live music and costume contest in The Molokai bar, 7 p.m.-midnight. The festivities kick off with happy hour from 5 to 7 p.m. in the historic Mai-Kai’s nautical themed Molokai bar, featuring half-priced drinks and appetizers plus specially themed monster music curated by The Atomic Grog. This year’s Hulaween cocktail is the “Appleton Monster Barrel” featuring sponsor Appleton Rum. This month’s “Friday Flashback” cocktail, Last Rites, also fits perfectly with the theme. 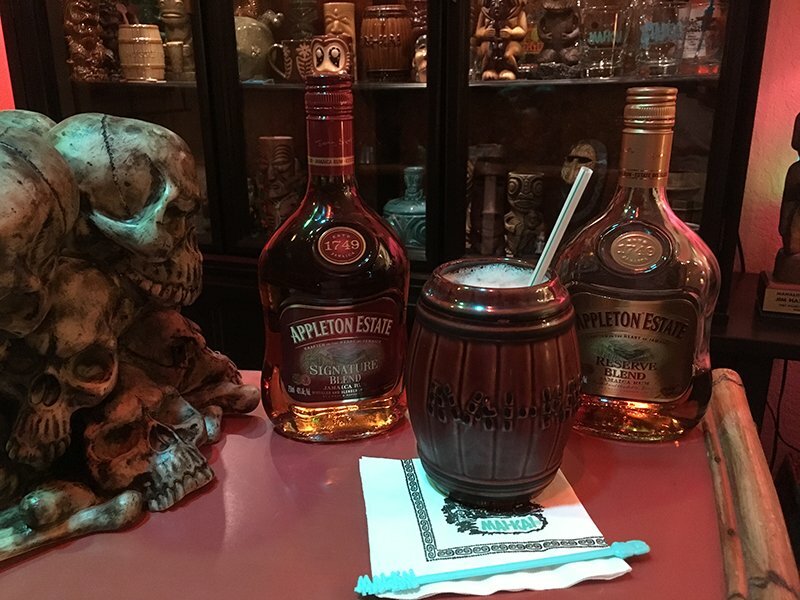 The Appleton Monster Barrel is a new, enhanced version of the iconic Barrel O’ Rum featuring two rums from the venerable Jamaican brand. Last Rites is a cocktail from The Mai-Kai’s original 1956 menu that was retired decades ago. It made its first return from the grave at the 2012 Hulaween party. There are many other dark and deadly drinks available, including the Black Magic and Shrunken Skull. In addition, the usual Friday night special features half-priced Jet Pilot and Shark Bite cocktails all night. 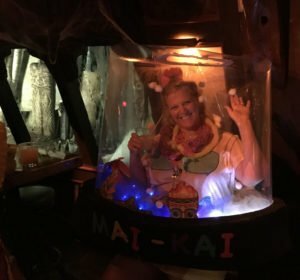 The Mai-Kai’s drinks are considered among the best Tiki cocktails in the world, revered by such award-winning authors and bar owners as Jeff “Beachbum” Berry and Martin Cate. The Molokai bar in the iconic Polynesian restaurant, established in 1956 and recently named to the National Register of Historic Places, will be transformed into a rockin’ retro shindig with The Mai-Kai’s acclaimed Tiki cocktails and classic pupu platters sharing the spotlight with the lively crowd of undead revelers. Ghoulish guests also get half off from 5 to 7 on all of The Mai-Kai’s Polynesian appetizers and small plates, including favorites such as the Pupu Platter, crab, escargot, beef, pork, duck, octopus, sushi, vegetarian options, and lots more. If you haven’t explored all the menus recently, you’re missing out on the transformation led by chef Mark Rivera. It’s also hard to resist the full-blown experience of The Mai-Kai’s famous Polynesian Islander Revue (est. 1961), the longest-running authentic South Seas stage show in the United States, including Hawaii. Friday’s showtimes are 7 and 9:30 p.m., so you can work it into your Hulaween experience. Or, if you prefer the dark and mysterious, adjourn to one of The Mai-Kai’s secluded dining rooms, or grab a table outside near a waterfall in the Tiki garden. To guarantee a seat, be sure to make advance reservations for dinner. For an appropriately spooky meal, ask for a seat in the Samoa Room, which features display cases containing actual shrunken skulls from the South Seas that have been on display since 1956. No matter how you spend the evening, don’t forget to take a break to tour the winding paths of the torch-lit garden to see the impressive new Tiki carvings, a perfect photo op. Slip and the Spinouts kick off the rockin’ tunes around 7, performing a unique blend of styles including ’50s and ’60s rock, country, surf and blues. The dance floor is likely to fill up with costumed revelers, so be sure to get their early to get a good seat. The night’s music will include everything retro, from rock ‘n’ roll to surf, garage, exotica and more. Led by guitarist/vocalist Slip Mahoney, this hard-working South Florida band is a longtime favorite at The Mai-Kai. Hang out to catch all three sets of classic covers and their own catchy originals. Slip and his crew always get into the Hulaween spirit with their own themed costumes. This will be the band’s seventh Hulaween appearance. The Molokai is the perfect setting for the party with its vintage South Seas seaport theme. Almost untouched since its 1971 remodeling, the bar contains actual set pieces from the 1962 movie Mutiny on the Bounty (starring Marlon Brando), acquired when the MGM prop department closed in 1970. 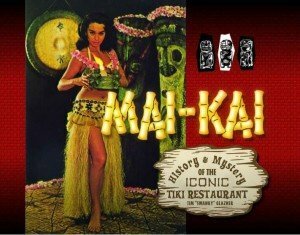 The members of Critiki.com have continually ranked The Mai-Kai as the best Tiki establishment in the world from more than 50,000 ratings of 850+ bars, restaurants and hotels. From 7 to 9, the Appleton Girls will be making the rounds with free Monster Barrel Samples and other special giveaways. You can taste the distinctive Appleton Rum in dozens of cocktails on the extensive menu. South Florida’s coolest costume party will be in full swing by 10 p.m. Contestants are encouraged to arrive early to make sure they’re eligible for the cash and prizes from sponsor Appleton Rum to the first-, second- and third-place winners. Past winners include Mai Tai and a Bottle of Rum (2016), Headhunter and Head (2015), Evil Tiki (2014), and the Tiki Couple (2013). This year’s poster and flyer artwork was created by South Florida’s Robert Jimenez (aka Tiki Tower), based on his Monster From the Marquesas. You can buy limited-edition, signed prints of that painting here. The Mai-Kai is selling limited numbers of the Hulaween poster (signed and unsigned) in the restaurant’s gift shop, The Mai-Kai Restaurant Trading Post, including the online shop. Click here to order now. This entry was posted in Cocktails, Cocktails, Events, Events, Events, Events, Mai-Kai, Music, Restaurants, South Florida, Video and tagged Appleton, Halloween, Hulaween, Last Rites, Mai-Kai, Robert Jimenez, Rum Barrel, Slip and the Spinouts, Tiki Tower. Bookmark the permalink.